Mazal tov on your son or daughter's bar/bat mitzvah! in an unforgettable ceremony here at our historic synagogue, at the egalitarian section of the Kotel (the Western Wall), Massada, or other locations in Israel. 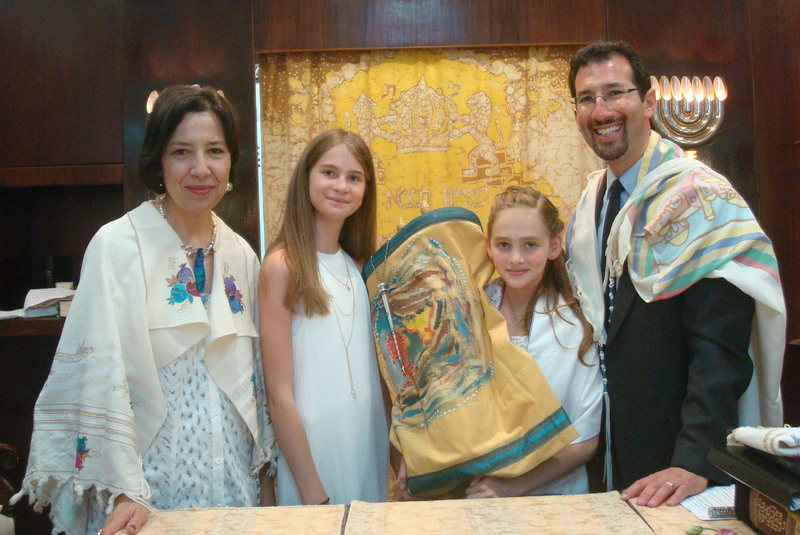 Cantor Evan, who coordinates our congregation's overseas bar/bat mitzvah program, will be delighted to assist and guide you as you prepare for this special day. On the Friday evening news June 30, 2017 on Israeli Channel 2, a news feature was broadcast about the Kotel crisis, featuring Leila Soleimani of Los Angeles who celebrated her bat mitzvah with Rabbi Ada and Cantor Evan at the egalitarian section of the Kotel. Yishar koach to Leila and her parents Sepi and Shawn. 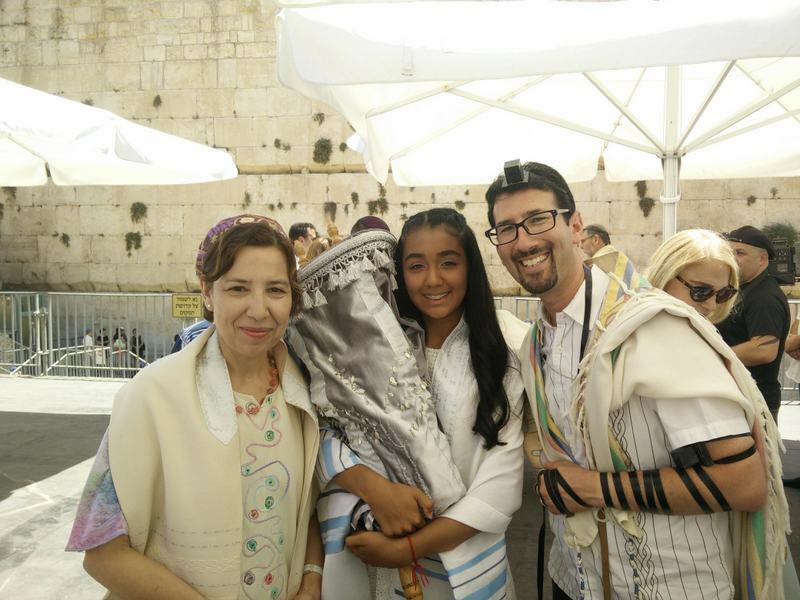 May we see many more girls celebrating their bnot mitzvah at the Kotel! (please note: the video opens with a 20 second commercial, and the feature itself is in Hebrew and English). 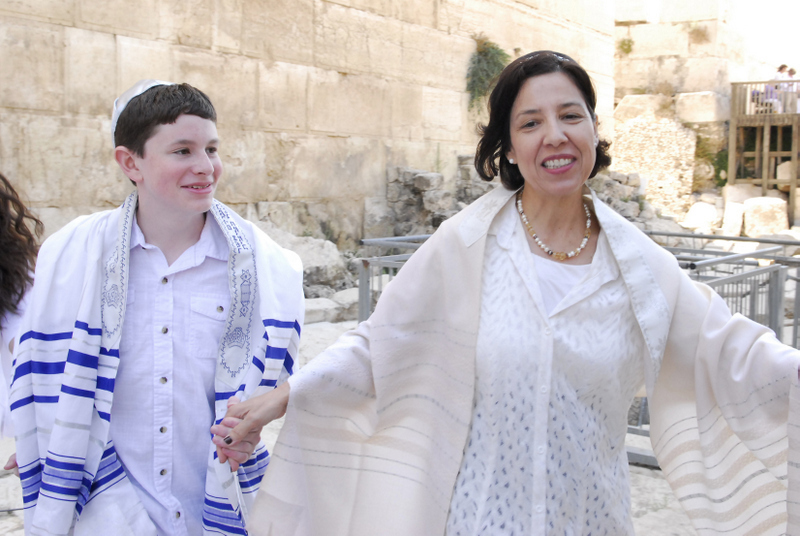 We wanted to express again our sincere thanks and gratitude for the wonderful Bar Mitzvah experience for our son Cole during our recent trip to Israel. We feel so blessed to have found you both to officiate the service. It was so easy to work with Cantor Evan to arrange the Bar Mitzvah. The instructions on the service were clear, the study materials you provided were excellent, and Cole was well prepared for the service. We also appreciated our Skype sessions to review the D'var Torah and to help Cole better understand his Parsha and its meaning. 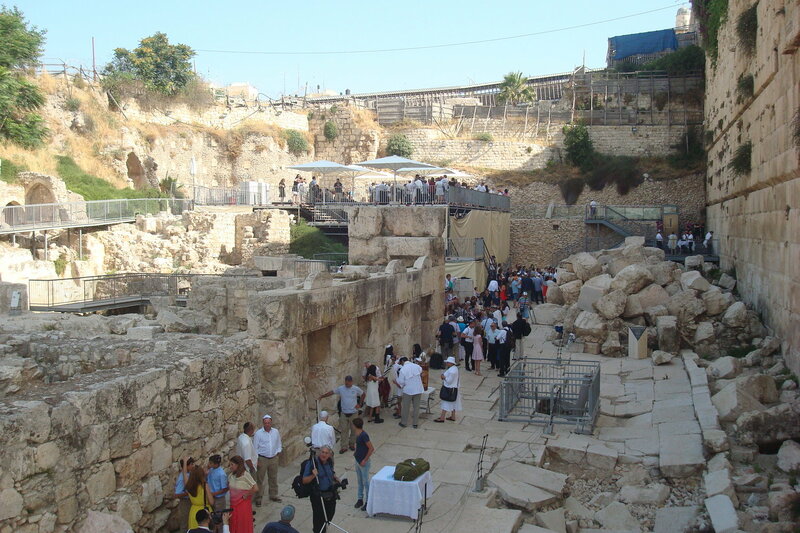 When we arrived at your synagogue in Jerusalem, we immediately felt at home. You warmly welcomed our family, got to know us, and made us feel at ease. We immediately responded to Rabbi Ada, her energy, and her confidence as a Jewish religious leader. We also appreciated Cantor Evan's proficiency, knowledge and calm demeanor. The Bar Mitzvah ceremony at Robinson's Arch was beyond words. It was truly awe-inspiring to be there, surrounded by other Jews celebrating their Bar and Bat Mitzvahs. It was also incredible for us to share the experience together, as a family, men and women together, in the service. It was inspirational to have Rabbi Ada lead our service, and to listen to Cantor Evan's beautiful voice. We could not have dreamed of a better experience. 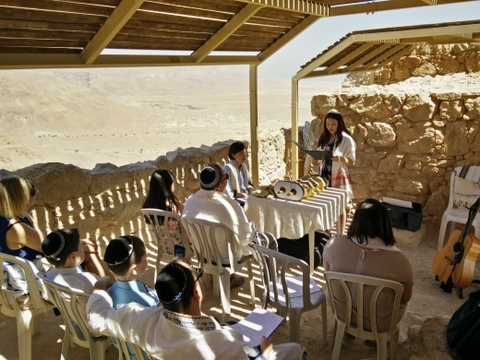 It is our hope that everyone have as meaningful a Bar or Bat Mitzvah experience as we had. We absolutely will recommend you to anyone considering such a celebration in Israel, and will gladly be a reference to anyone with questions. Words cannot truly express what a joy it was having you both officiate this very special day in our family’s lives. From the onset of working with Cantor Evan, up until the time we got to meet Rabbi Ada, and everything in between, I could not have asked for anything more. The ceremony was absolutely flawless and so meaningful and heartfelt. I am still getting comments from guests on how beautiful it was. I can’t wait to see the pictures and video, so I can experience it over and over again. Thank you from the bottom of my heart for your participation and for making it the beautiful ceremony and wonderful experience that it was. These will be memories that will last a lifetime. 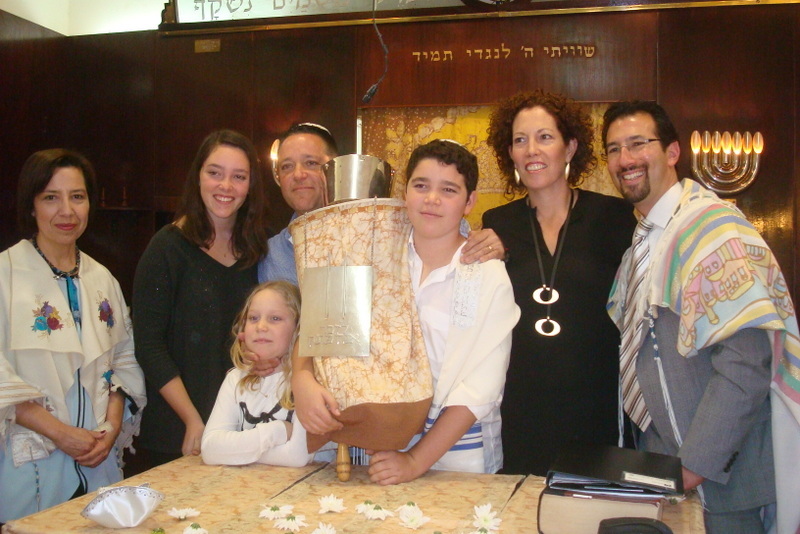 We wanted to tell you that we cannot express in words how happy we were with the Bar Mitzvah. We are especially happy we met you (Evan) and Ada. We cannot think of even one improvement and amazingly not a single attendee could think of one either – which is amazing when considering it was a group of Israelis. It was everything we wished for and more. We were so impressed with Ada and your true and genuine enthusiasm to make the day special. Although the Bar Mitzvah is over, we will continue to support your community and its efforts to ensure a place for Conservative and Reform Jews. We would like to thank you again for such a wonderful experience. To contact us about celebrating an unforgettable bar/bat mitzvah through Kehilat Har-El, please fill out the form and we will be in contact with you shortly!